Donna A. Santasania has been a State College resident for nearly twenty years. Prior to moving to State College, she resided and grew up in Kingston, PA in northeastern PA. Donna has over 12 years experience as a realtor, specializing in assisting people in buying and selling of residential properties. 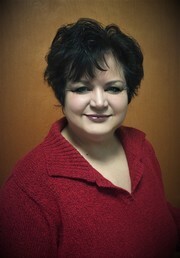 She looks forward to offering you the benefit of her extensive experience with the home buying and selling process. In her free time, Donna also enjoys cooking Italian food, baking, traveling and spending time with her Cocker Spaniel.